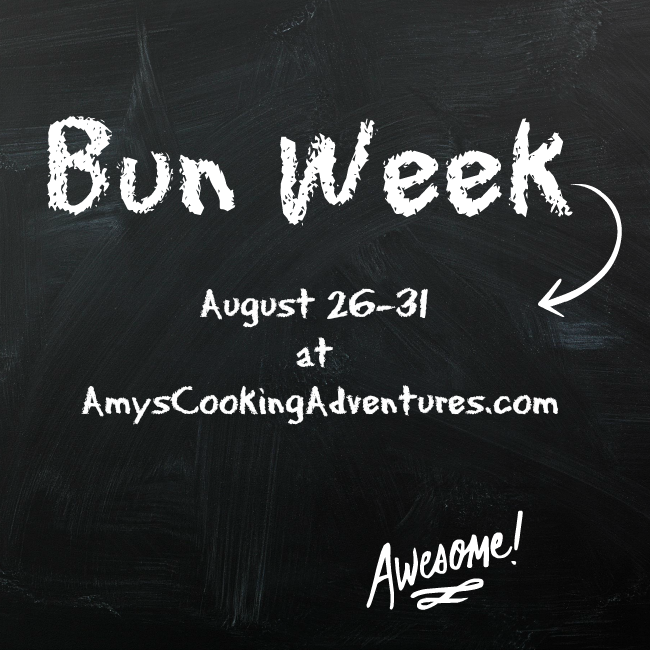 This is one of my absolute favorite stuffed buns, so it is perfect as we wind down bun week. 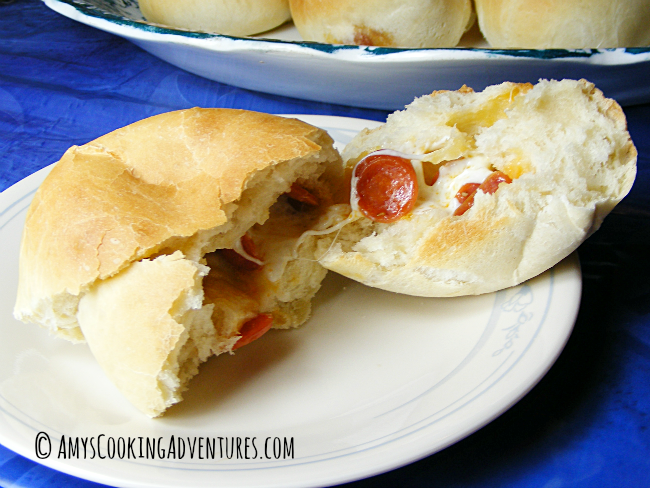 Second: the pizza is nestled in a light buttery bun. You’ll notice that the recipe calls for fresh mozzarella, but really I mean the mozzarella that you buy in a ball in the deli section of the grocery store as opposed to cheese sticks. Cheese sticks work in a pinch, but they don’t melt as nicely as the spendy stuff from the deli. So go, make these this weekend. You can thank me later! Make the bread dough up to the “punch down” step. Cut the mozzarella into 20 pieces. Cut the dough into 2 ½ ounce pieces. Flatten each dough piece and push a chunk of mozzarella and 6-8 mini pepperonis into the center. Then, bring the edges around and pinch to seal. Place the buns, seam side down, onto baking sheets. 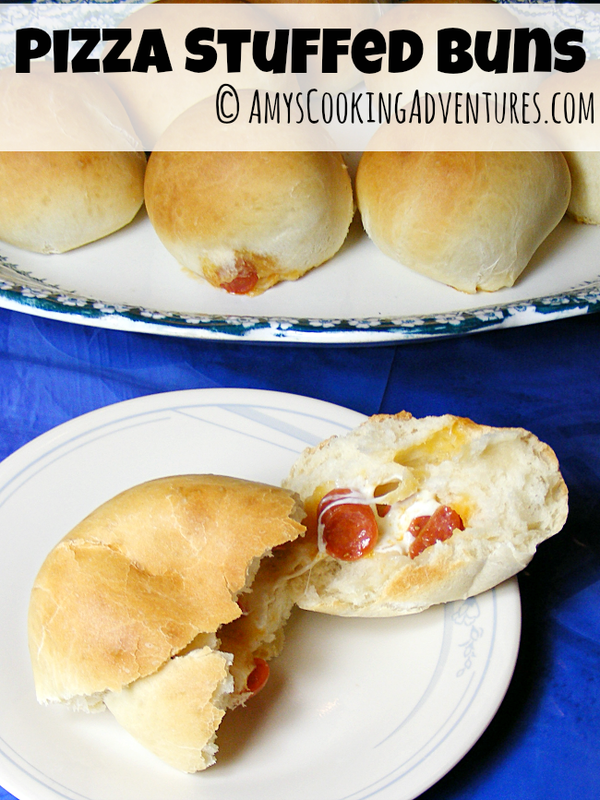 Cover the buns loosely with plastic wrap or a lint-free kitchen towel and allow to rise for about 20 minutes. Bake for 15 minutes or until the buns are browned. Amy, these look ridiculously good! Pizza is at the top of my food pyramid and I love how these are a playful take on calzones. Can't wait to try them out!